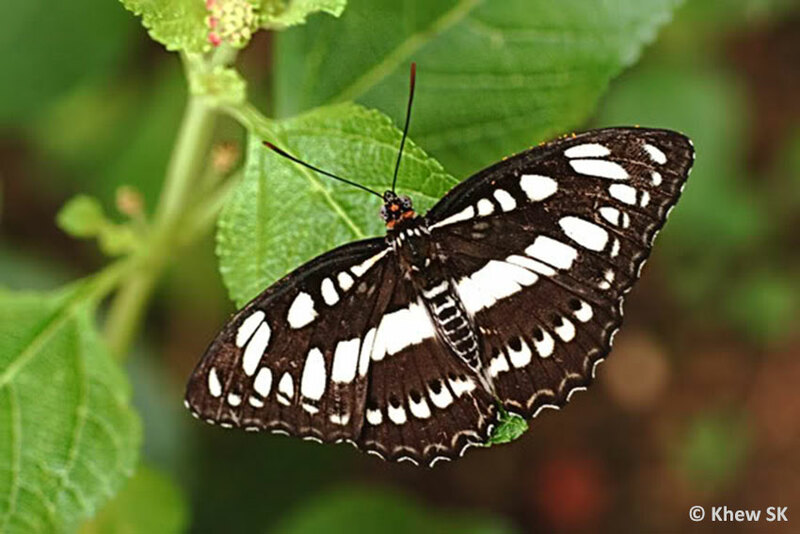 The Common Sergeant, one of the species of the genus Athyma, was recorded as extant in Singapore by the early authors. However, there have been no reliable sightings of this species for the past four decades and is believed to be no longer found in Singapore. Featuring the typical black-and-white markings of the genus, the Common Sergeant is distinguished by the forewing cell streak being divided into four portions. The orange underside has a characteristic series of prominent black post discal spots. The caterpillars of the Common Sergeant feeds on host plants like Glochidion and Phyllanthus, both of which can still be found in Singapore. It is not known why the species has disappeared from Singapore. 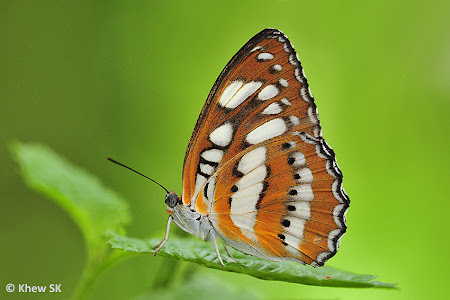 There are currently five other species of the genus Athyma extant in Singapore. Was the Common Sergeant's preferred habitat wiped out? Will it be seen back here again one day? Or will it remain only in our memories and is gone forever from Singapore?